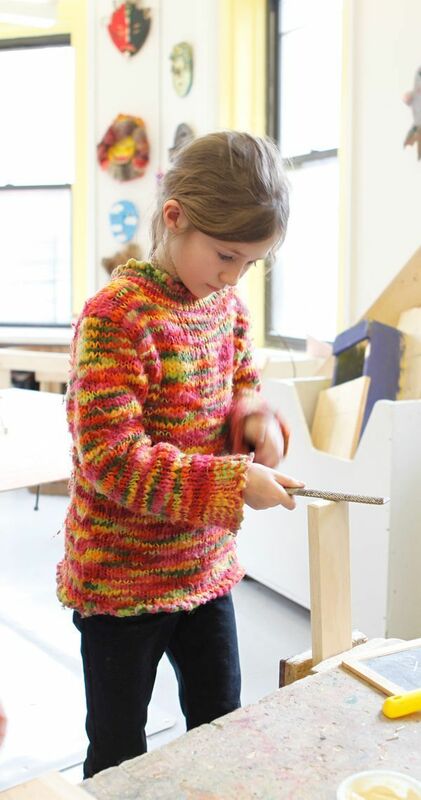 Woodworking allows the children to contribute to their community in important ways, designing practical and artistic objects for use within their groups, the School, and their homes. 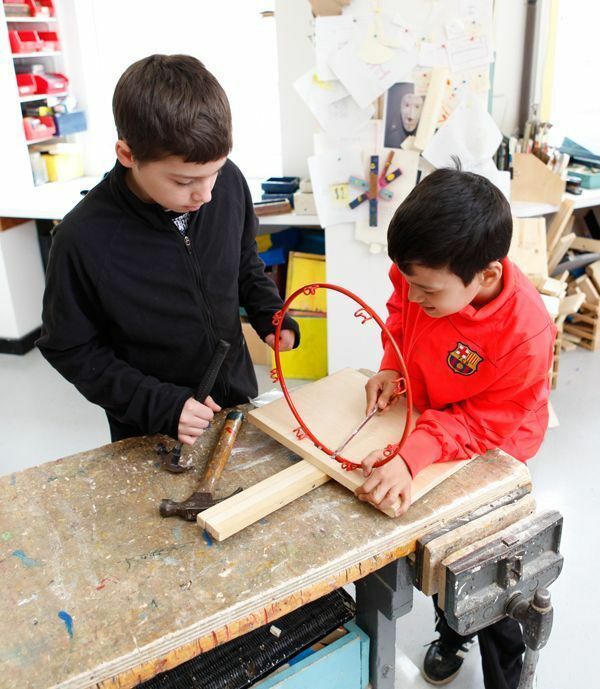 Woodworking in the Lower School primarily augments group block work and is largely done at a fully stocked woodworking table in the classroom. Beginning in the 6s, Shop is a weekly Special where children learn to expand their skills through the creation of items needed to complete their cities, bridges, and other elemental structures. In the 8s through the 13s, the Jobs Program and social studies program require and inspire students to make wood constructions reflecting their individual and group interests. For their Post Office Jobs, the 8s make wooden mailboxes that are placed throughout the School for community use. The 12s, inspired by their work with the 4s, may choose to make wooden puzzles for the 4s’ classrooms. As older children develop their Group Play, they often construct props and set pieces in shop. Children learn to accurately measure, mark, cut, and join their pieces, which may then be painted, stained, or decoupaged. In drawing their plans, they are exposed to graphing, scale work, and professional drafting tools. As with all subjects at City and Country, there is no separation of boys and girls at any age. Shop is also offered as an Afterschool option for children in the 8s through 13s to extend their work. Children may also choose to start a new woodworking project at this time.